A key aspect of translational research in the medical devices domain is migrating to thermoplastic polymers like PMMA (commonly referred to as acrylic). 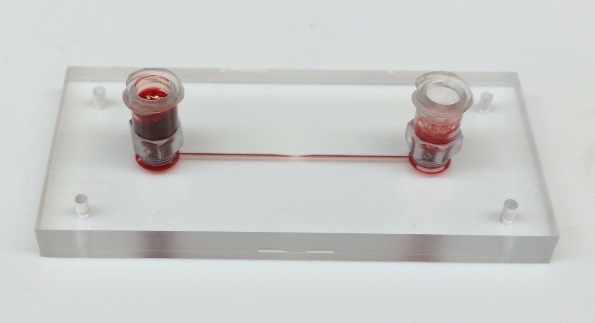 The fabrication of microfluidic channels involves two surfaces. One surface has the open channels and the features necessary for microfluidics. The second surface provides the closing interface almost like a lid. The challenge is to create a hermetically sealed interface between these two surfaces without using any adhesives. There are several bonding technologies like laser welding and ultra-sonic welding that are perfect for such applications, but they are expensive and time consuming. In this post, I will describe a low cost prototyping technique that delivers optically clear, hermetically sealed bonding for thermoplastic microfluidics. This entry was posted in Technology and tagged microfluidics, prototyping, thermal bonding on February 5, 2015 by khetarpal. This post will detail a closed form solution to split polygons into any number of equal areas, while ensuring minimum length of line based cuts. The solution works for both convex and concave polygons, as long as they don't have non-manifold vertices, and can be traversed with a single loop. Credit for this concept goes to Dr. Rossignac, who also introduced me to the power of medial axis. 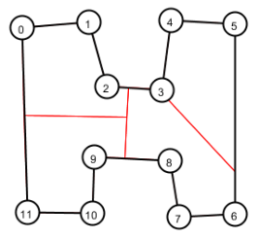 Continue using the same approach on the bigger polygon till the bigger polygon reduces into polygon with desired area. 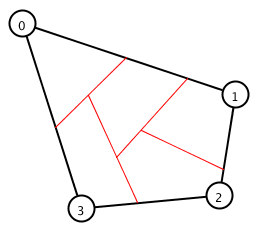 The problem of splitting polygon N-ways has now been reduced to splitting polygon into two sub-polygon with specific area. Since the cut is a line, it would start from one edge and end at another. There are six possible edge pairs in a 4-sided polygon, that could lead to a potential cut. Three of these cuts - are shown in the images below as a reference. We can select the minimum cut from the all potential cuts obtained from each edge pair. This entry was posted in Concepts and tagged computer graphics, medial axis, polygons on December 24, 2014 by khetarpal. Dyson, the leader in high-end vacuum cleaners, recently announced their new robotic vacuum cleaner, the 360 eye. It has every bell and whistle you can imagine in a vacuum cleaner – it has more cleaning power than any of its competitors. It can visualize the entire house via a 360 degree camera and collection of infra-red sensors and plan the most efficient cleaning route. It has army tank style treads, so it can simply step over uneven surfaces like carpets and rugs. If all that’s not enough, it comes with a smart phone app, so you can schedule a cleaning session remotely thirty minutes before you arrive in your house with an unexpected guest. This impressive set of features took sixteen years, and $47 million for Sir James Dyson to improve a product that was already the best in the market. It got me wondering about the first guy who thought of making a vacuum cleaner. There were products as early as 1860. This is an era well before electricity was available as a public utility, and well before plastics arrived, but hey – the carpets and the house are not going to clean themselves. 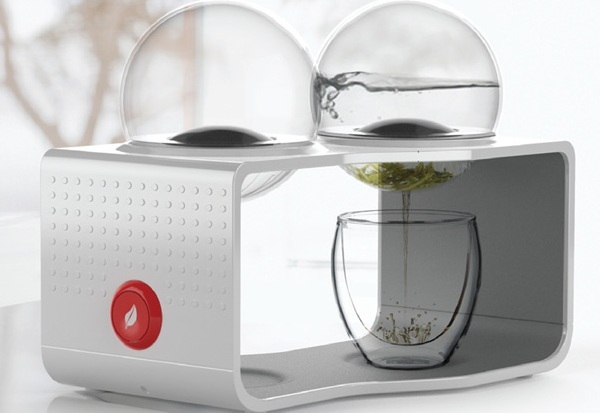 Let’s say - you live in the nineteenth century, and you are crazy enough to dream about a motorized product to clean the house – what would the first version of your product look like, and how would you convince everyone that they can’t live without it? I love what Hubert Cecil Booth did in 1901. He created a vacuum pump powered by a gasoline engine. The engine was heavy, so he used a horse carriage to carry the engine from one neighborhood to another. All cleaning was done by suction through long tubes with nozzles on the ends. He used transparent hoses so customers could watch the dirt leaving their house. His staff was dressed in clean professional uniforms. The entire cleaning service was offered as an enjoyable lavish experience while making his customers as the envy of their neighborhood. Booth encouraged his customers to host vacuum tea parties, great for enhancing the whole experience, and perfect for him to attract new customers. 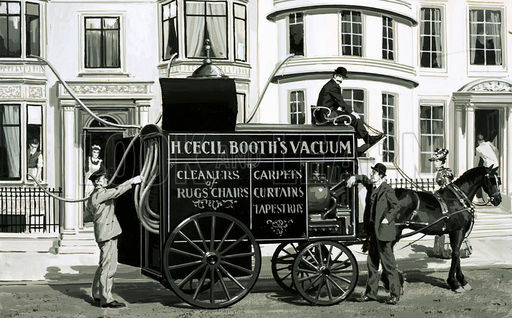 Booth’s vacuum service is an excellent example of a minimum viable product. He didn’t lock himself in a cave to make the most sleek, elegant looking product. He modified existing technologies to test the product hypothesis with minimal resources. He got his product to early customers as soon as possible. His first customer was a local restaurant owner. Booth agreed to clean the dining room for free, but the immense publicity from that event made sure he never looked back. This entry was posted in Startups on October 18, 2014 by khetarpal.